The World Famous Uluru is one of the most iconic tourist destinations in Australia. The stunning ‘Rock’ plays a starring role in our 1 Day Uluru Tour from Alice Springs. This tour is a mix of sightseeing, indigenous culture and hiking. You will visit the West MacDonald Ranges, Uluru and Kata Tjuta among other amazing destinations. Jam-packed with extras including wine and dinner while enjoying sunset at Uluru. Considered by many as the most comprehensive and practical way to see Uluru and the Australian Red Centre from Alice Springs this 3 Day Uluru Tour from Alice Springs is one of our most popular Uluru Tours. Visit Uluru, Kata Tjuta and Kings Canyon plus heaps more, try camel riding and take in sunset at Uluru. The tour includes camping under the stars and all meals. If you are already staying at the Uluru (Ayres Rock) resort or camping area the Uluru Sunrise And Sacred Sites Tour is a perfect way to indulge in the cultural significance of the Majestic Rock. View sunrise from Talinguru Nyakunytjaku, enjoy a walk at Walpa Gorge Walk and hear in-depth commentary on the indigenous history and culture of the area. Finish up at the Uluru Cultural Centre. Departing mid-afternoon from the Ayres Rock resort or camping area, this Kata Tjuta and Uluru Tour is a perfect afternoon spent in one of the world’s premiere natural destinations. Take in the wonder of the famous Mutitjulu Waterhole, be fascinated by the Aboriginal Stories that go back thousands of years and visit the Kata Tjuta Cultural Centre. Then take in one of nature’s most enthralling shows – Sunset at Uluru. This is the one of the most comprehensive Uluru Tours for those flying straight into Ayers Rock. Departing Ayers Rock Airport, Resort or Camping Area this Uluru Tour caters for the ever growing number of traveller flying straight into Ayers Rock. Book now and extensively explore Australia’s Red Centre including Uluru, Kata Tjuta, Kings Canyon and surrounds. The tour includes camping under the stars and all meals. Our Darwin to Uluru Tour operates March to October and provides an epic way to view a rare and spectacular part of the world. Departing Darwin spend 2 days travelling to Alice Springs exploring natural wonders along the way like Devil’s Marbles and Edith Falls before spending a night in Alice Springs. You will spend the 3 days Exploring Uluru, Kata Tjuta and Kings Canyon before being returned to Alice Springs. Kakadu National Park is a biodiverse and cultural mecca of Australia. Situated 240km east of Darwin this Heritage Listed area spans an enormous 20,000 square kilometres. The Park flows from the coastal estuaries in the north through to the floodplains, billabongs and lowlands on to rocky ridges and stone country in the south. The Diverse environment lends itself to it being home to some 2,000 plant species and wildlife from saltwater crocodiles and turtles to hundreds of bird species. Rich in prehistoric indigenous history featuring world renowned Aboriginal rock-art paintings at sites such as Nourlangie, Nanguluwur and Ubirr. 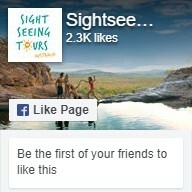 We offer 1, 2 & 3 day Kakadu Tours from Darwin, so don’t miss your chance to experience something truly special. Darwin boost some of Australia's most wonderful and unique tour experiences and we offer a number of Darwin Tours to suit all budgets and adventurers. Whether you are looking for to immerse yourself in Darwin's rich indigenous culture or cruise down the Adelaide River and see 5-meter crocodiles jump from the water, we have something for you. Darwin City is rich in World War 2 history and the surrounding area is some of the most amazing scenery and Australia has offer. Waterfalls, thermal springs, billabongs, incredible rock formations, exciting hiking trails and a perfectly clear night sky are just a few of the things you will experience in our exciting tours.